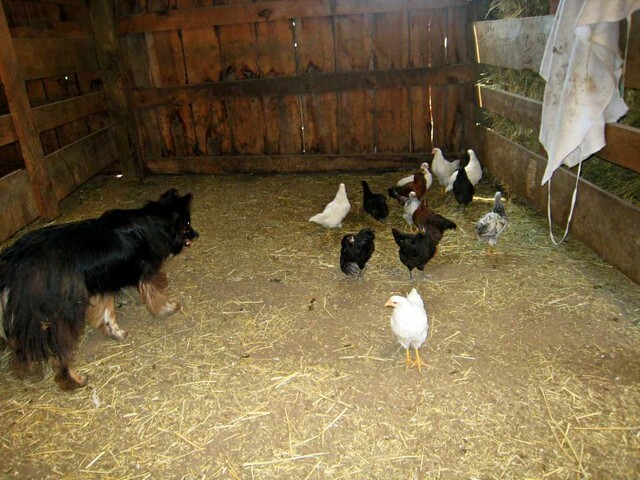 The chickens are a good thing for him to use his herding instincts on. Much safer than trying to herd cars or machinery! He tries cars and machinery too but I agree, the chickens are safer. This is an awesome picture, Sam -- love it! Thanks, I will tell Lucky you liked it. 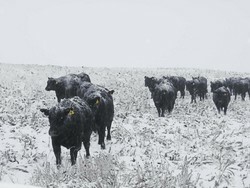 Heifers slogging through the snow for some cake. Taken 11/27/2005.